Founded by master electrician Michele (Michael) Gallo more than 18 years ago, Gallo-Teck takes pride in delivering effective products and personalized high-quality service to our customers. 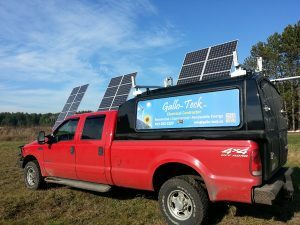 Whether you're troubleshooting an electrical issue, looking to upgrade your property to include a renewable source of energy, or want more information about generators and electrical backups, Gallo-Teck can help. Gallo-Teck takes a holistic and personalized approach to each project. We work closely with our customers from start to finish, ensuring that the products and solutions being provided always meet and exceed individual needs and standards. Michele (Michael) Gallo is a Master Electrician, Licensed Solar Electrician, and Industrial Millwright Mechanic, with an extensive background in electro-mechanical engineering, automation, and robotics. After obtaining his degree from York University, he also completed studies at Centennial, Humber, and George Brown Colleges in Toronto. In 2011, Michele became one of the first in Canada to be fully licensed as a Solar Photovoltaic Construction Electrician by the Canadian Standards Association, and that same year, was awarded his Master Electrician’s license by the Electrical Safety Authority (ESA). He has completed further training in robotics and automation at the corporate headquarters of Siemens Canada. With Green & Black Belt Lean Six Sigma Certifications, Michele practices high standards on an ongoing bases, with a disciplined, data-driven approach and methodology for eliminating and preventing defects or down time. Michele has more than 15 years of experience working in the manufacturing sector, spanning consumer electronics, aerospace and defense, and health care. Since 2008, he has played a key role in developing and scaling up Canada's green energy economy, including helping to lead the procurement and installation of a $30-million manufacturing line for Celestica (IBM Canada). A natural entrepreneur, Michele founded Gallo-Teck in late 1999 in Ancaster, Ontario, and later moved to establish a permanent state-of-the-art shop and showroom in the heart of cottage country, Maynooth, Ontario. 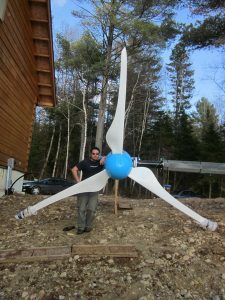 Michele’s lakeside family home and shop are both fully off-the-grid, providing a living lab environment for major equipment manufacturers such as Schneider Electric, Generac, Xantrex, Midnite Solar, Kestrel, and many others. Michele is a member of the beta test group for electrical solar licensing in Canada, and has contributed as an expert advisor to the development of the renewable energy program curriculum at Seneca College in Toronto. Michele always keeps up to date, with factory training and certifications for equipment he installs and maintains for his customers. He possesses certifications and training from Generac and Honeywell Generators, Xantrex Inverters, Midnite Solar, Outback, SMA, Schneider Electric, Magnum, Fronius, Enphase, ABB, Surrette/Rolls, Discover Energy, Siemens, Allen Bradly, Omron, as well as certifications in Fall Arrest, Fork Lift, Man Lift, Backhoe, Excavator, and Rigging. Gallo is constantly looking for new and innovative solutions, and following new and upcoming trends. To learn more about Gallo-Teck and how we can help you accomplish your unique goals and dreams, explore our website or contact us today.